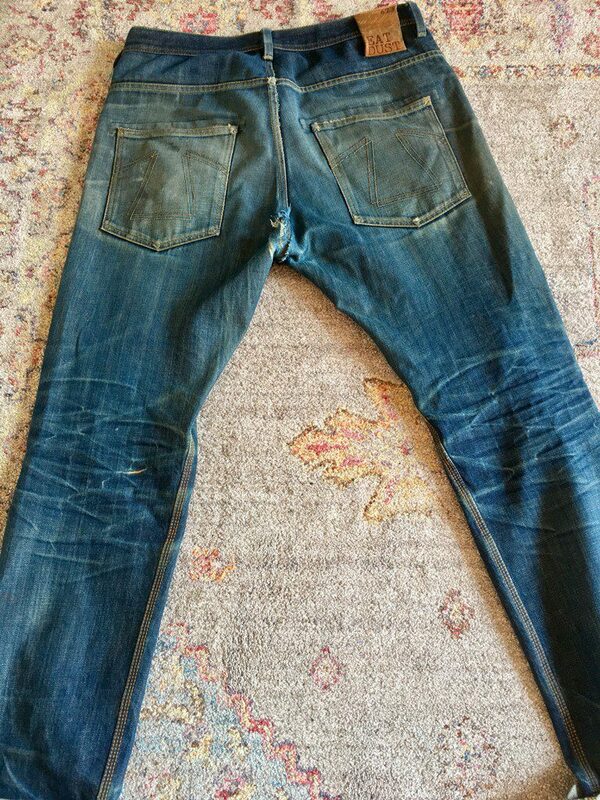 Owner: Wouter Thomassen from Nijverdal, The Netherlands. 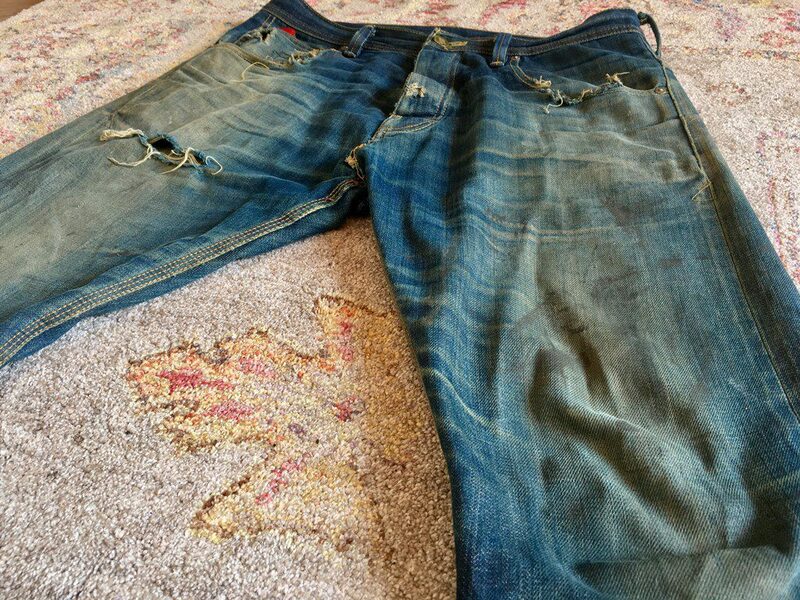 Details: The fit is a loose low crotch tappered denim pant. 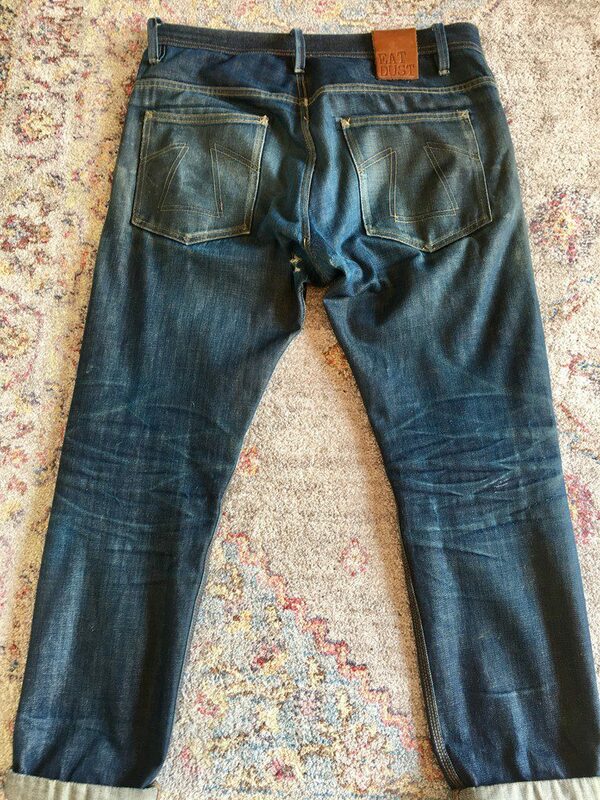 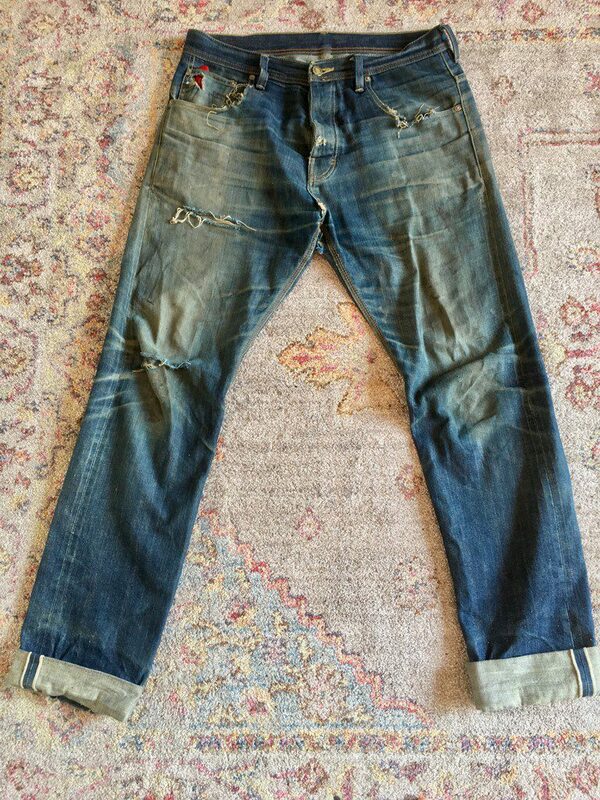 It’s made of 13.25oz double ring Japanese indigo blue selvage fabric. 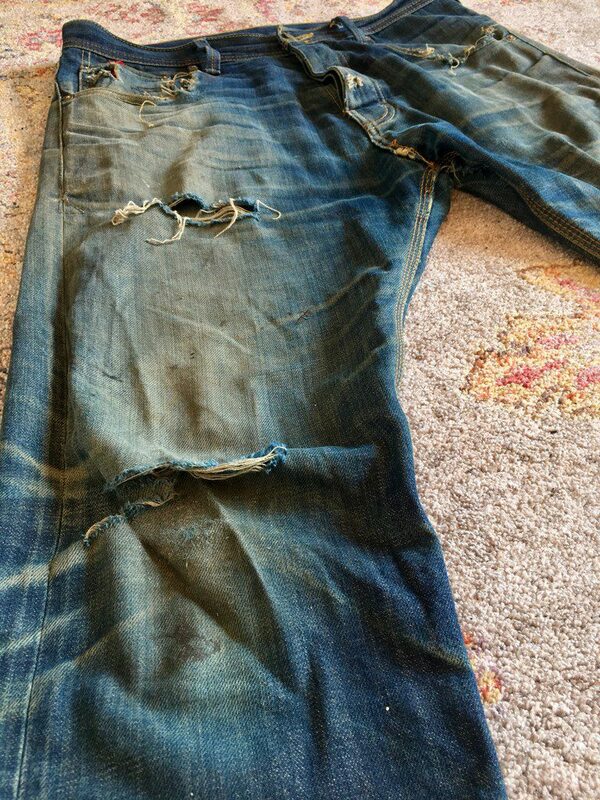 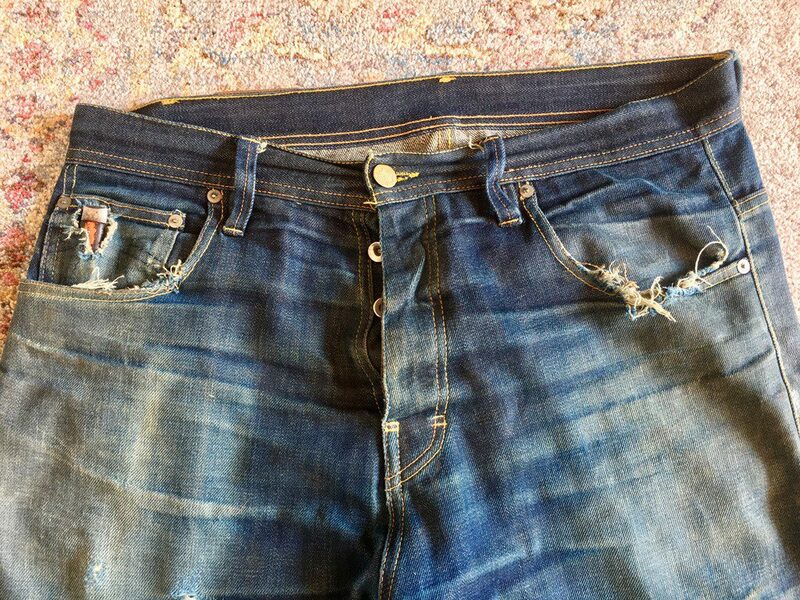 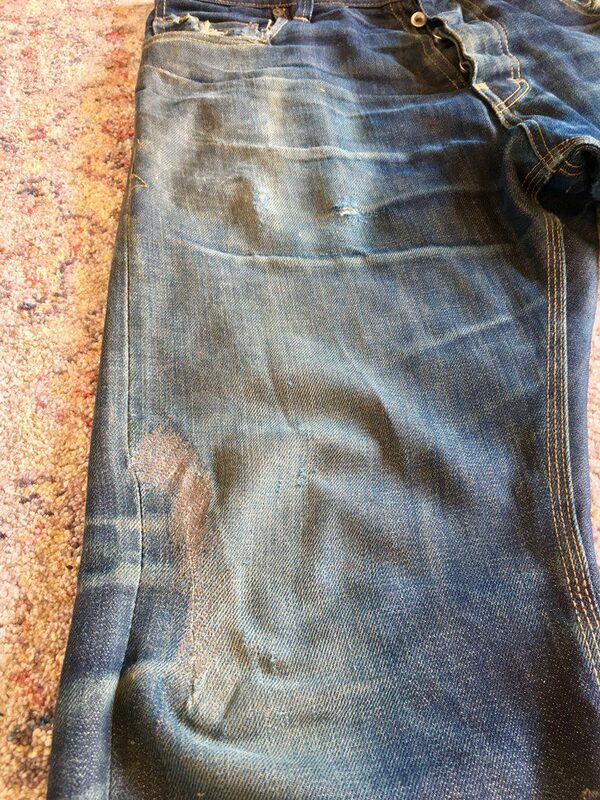 Treatment: The jeans is washed once in machine, soaked twice and repaired two times on the front panel and crotch. 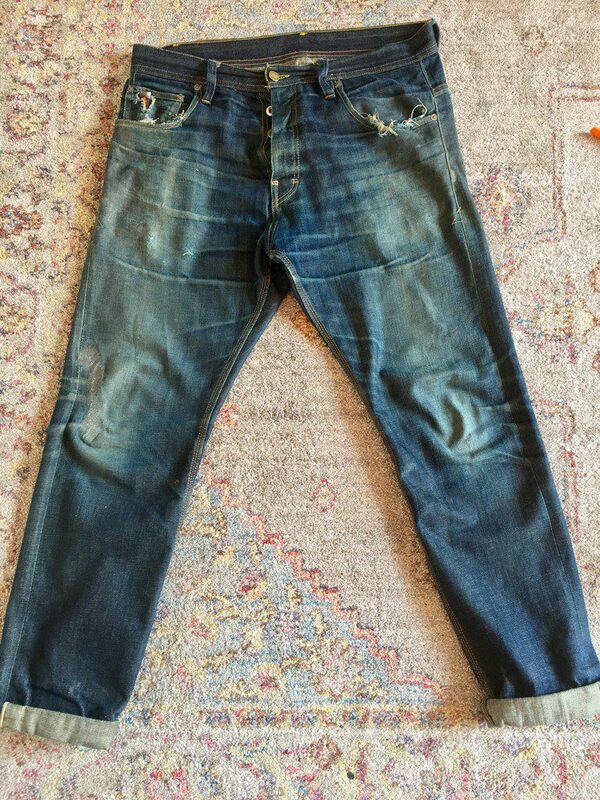 Age: 5 – 6 years old. 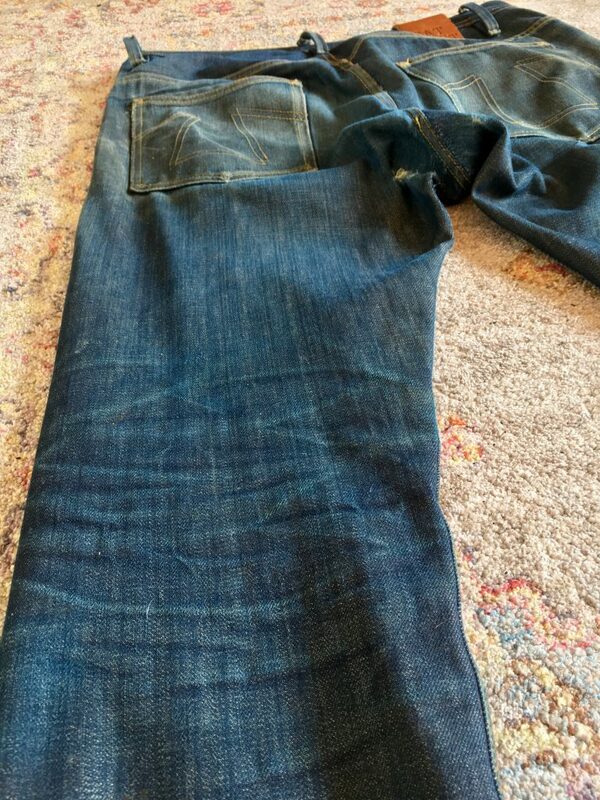 Treatment: The jeans is rinsed once. 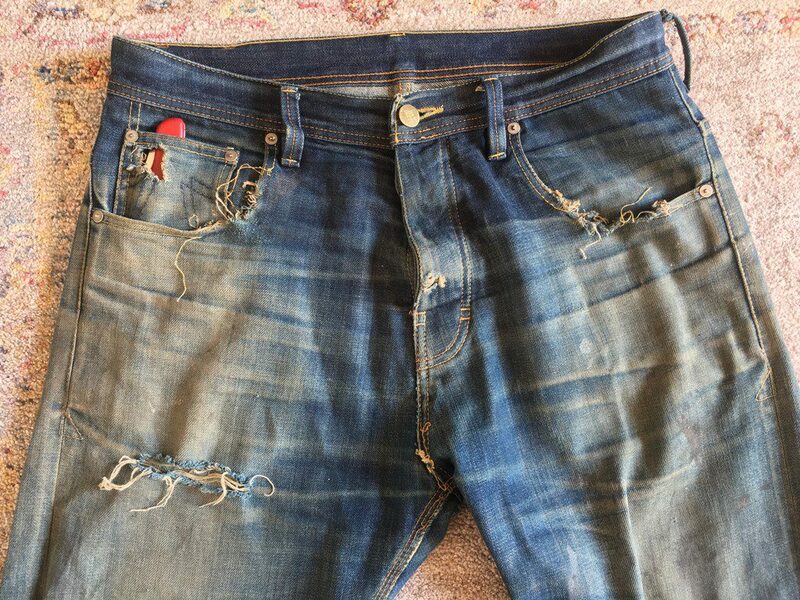 The jeans is used while working at the roof top of his house, but also while working on his motorcycle.